I always ask my self how he he does it. 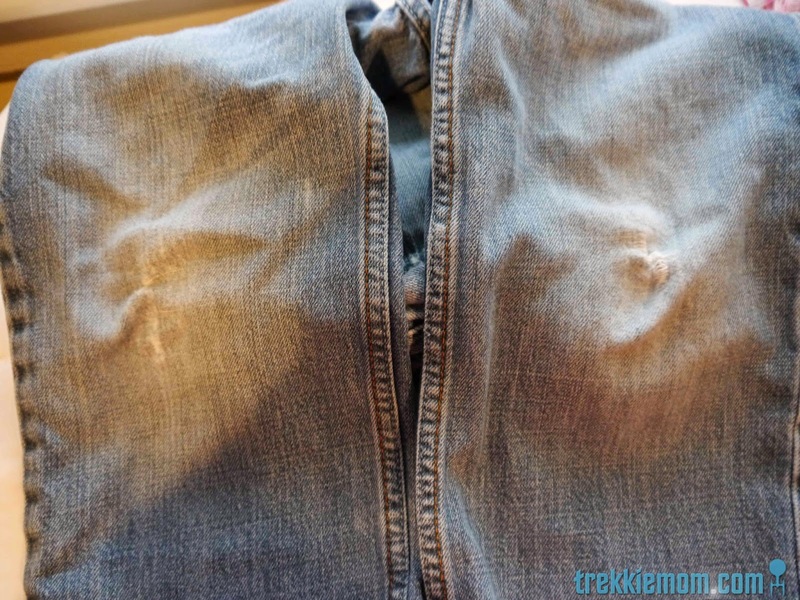 How does a 6-year-old blow out both knees in a pair of jeans in a matter of weeks? I have theories, but without constant surveillance at school, I will never know. 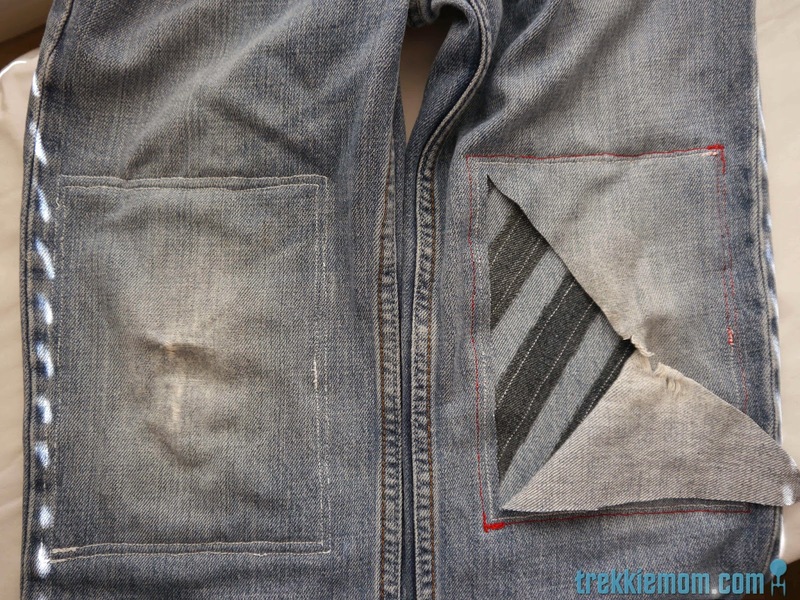 And so my project patch series continues with some diagonal patches. Here are the knees, pre-replacement. Not too bad, yet, but both knees are shot. 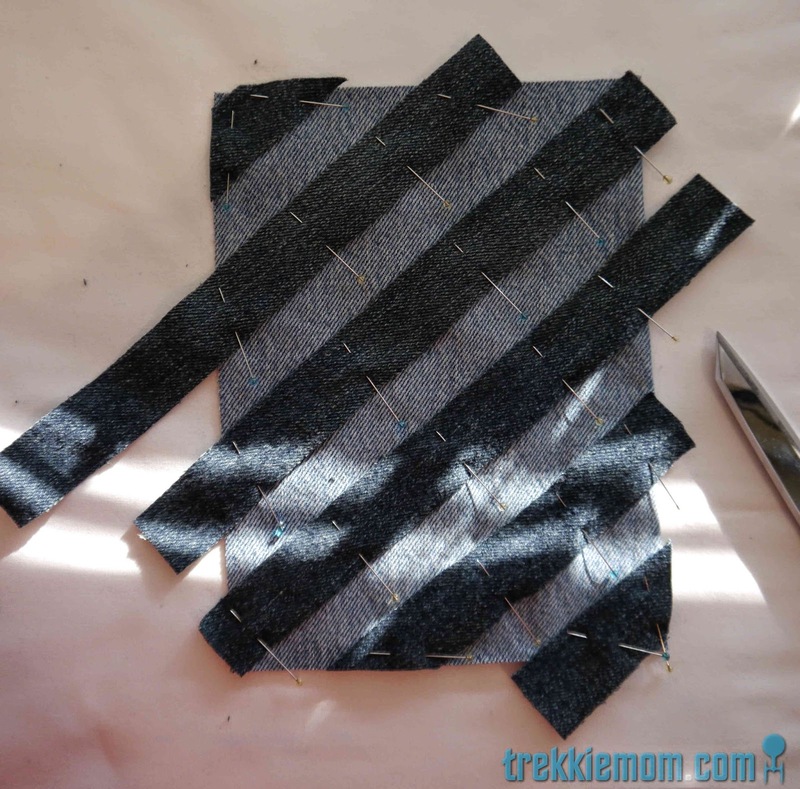 Like my horizontal patch project, I started by cutting one inch strips to create my horizontal lines from a darker denim. 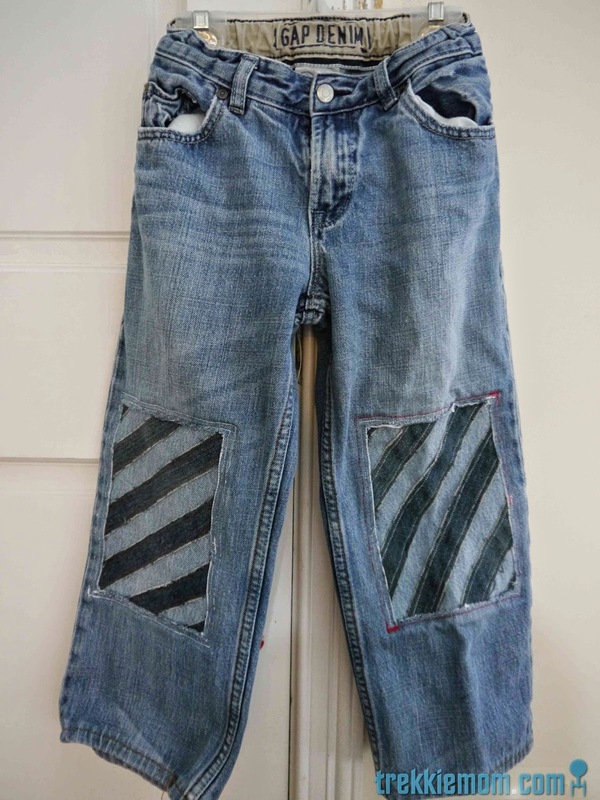 After measuring/fudging around, I decided that my patch fabric should be 8" x 6" for my son's size 7 jeans. 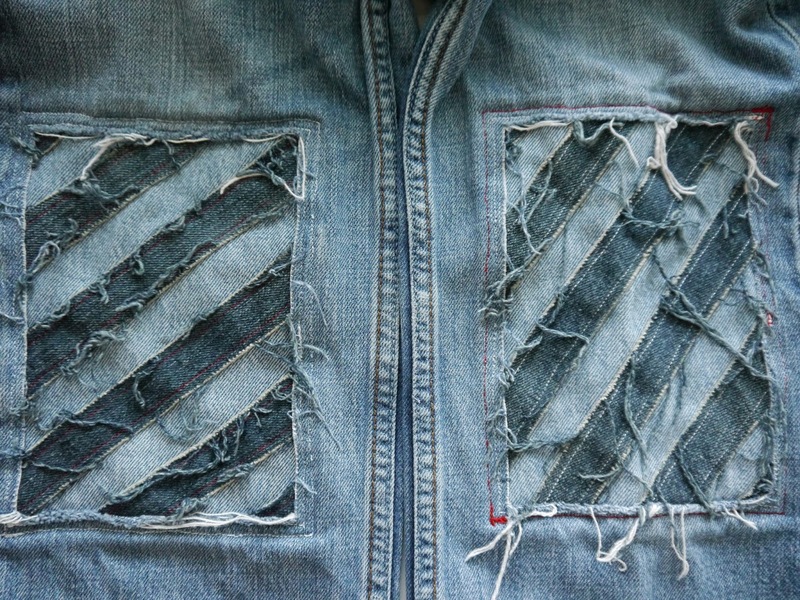 I cut 2 8" x 6" pieces of lighter denim for each patch. 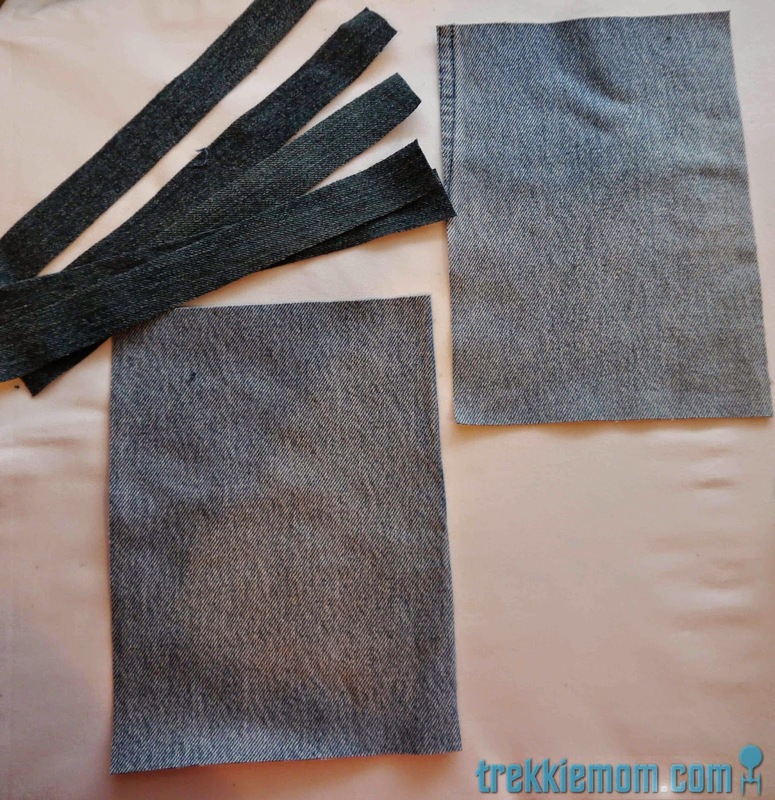 I pinned my 1 inch strips of dark denim approximately 1 inch apart from each other on only ONE of the 8" x 6" light denim rectangles. I trimmed the longer pieces and used them to fill in the corners. 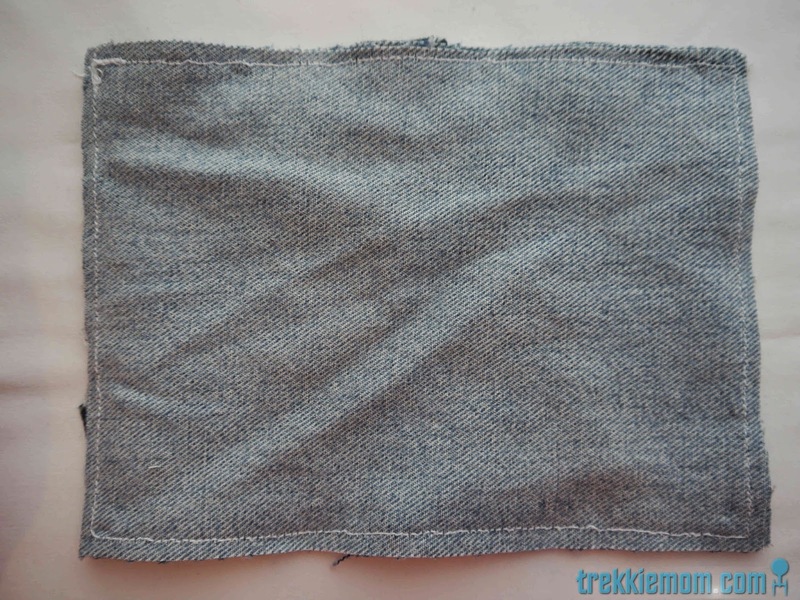 Then I trimmed all the diagonal strips to fit the 8"x6" patch. 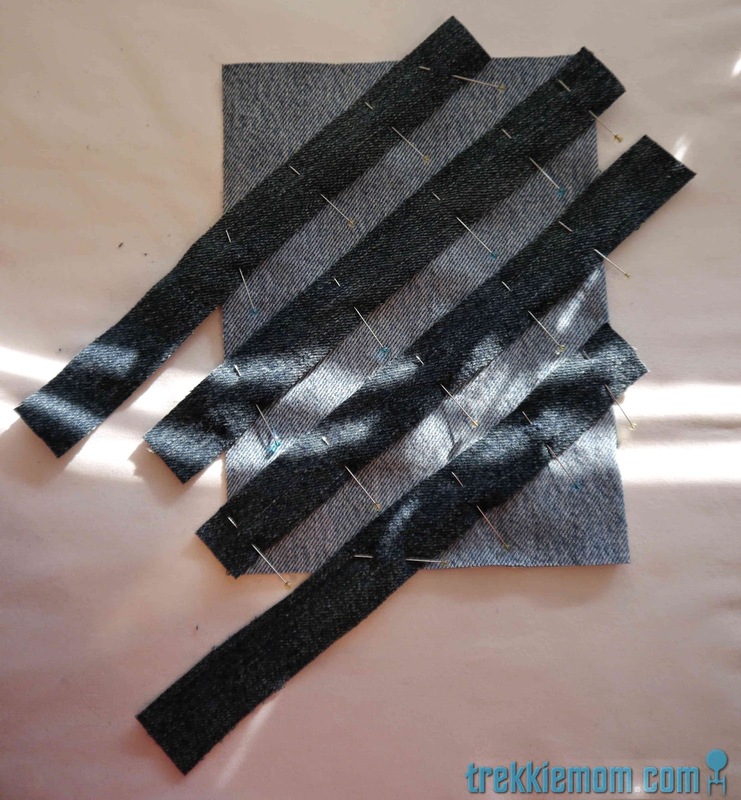 I sewed the individual strips of 1 inch denim to the single rectangle, using denim thread. 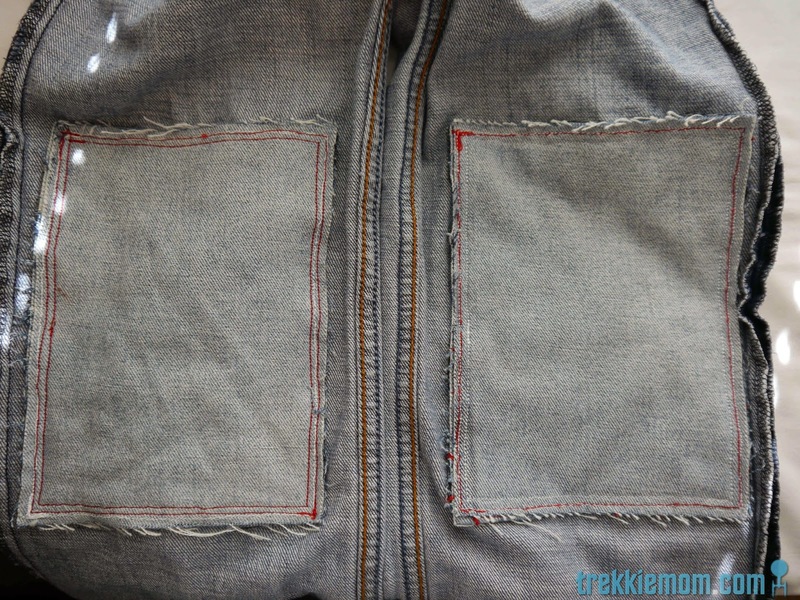 I used denim thread that I already had on a bobbin, which turned out to be some red and white. 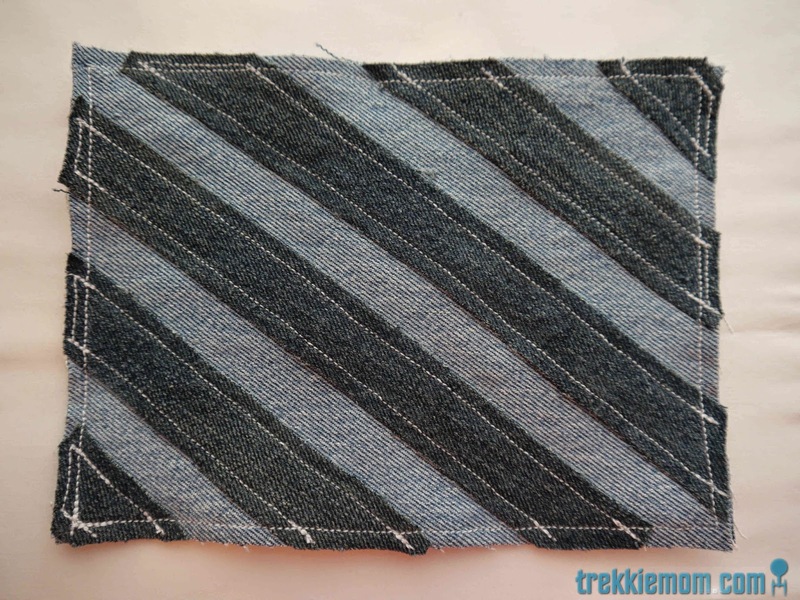 Just like I did with the horizontal line patch, I sewed a quarter inch seam so that the edges of the strips would fray. 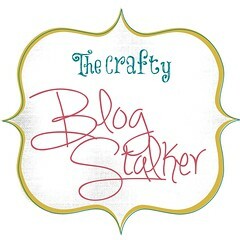 Next, I pinned the diagonal strip 8"x6" rectangle and pinned it to the plain 8"x6" rectangle. 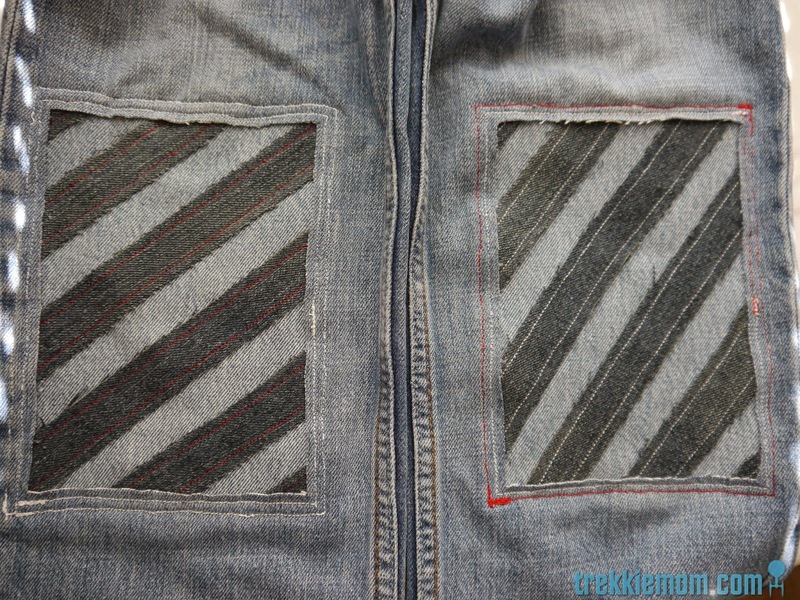 I then sewed a quarter inch seam all around the new patch. 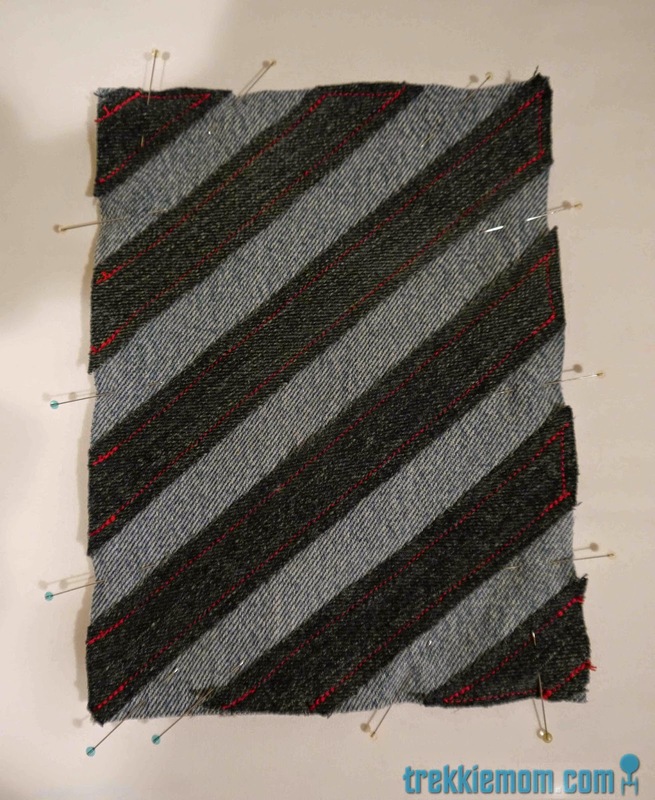 If you notice that the diagonals are a bit different in the pictures, it is because I am mixing pictures of the 2 patches that I made. 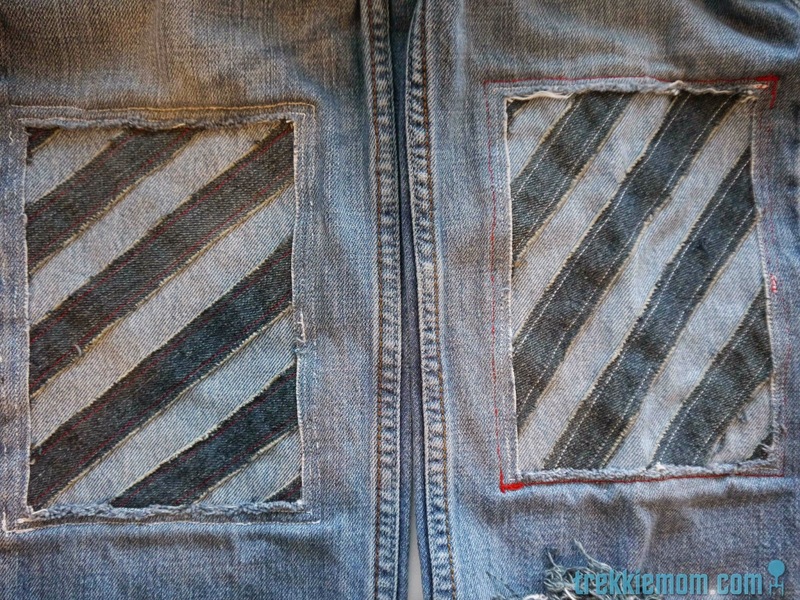 Now, I turned the jeans inside out, positioned the patches over the holes, and pinned the patches into place. 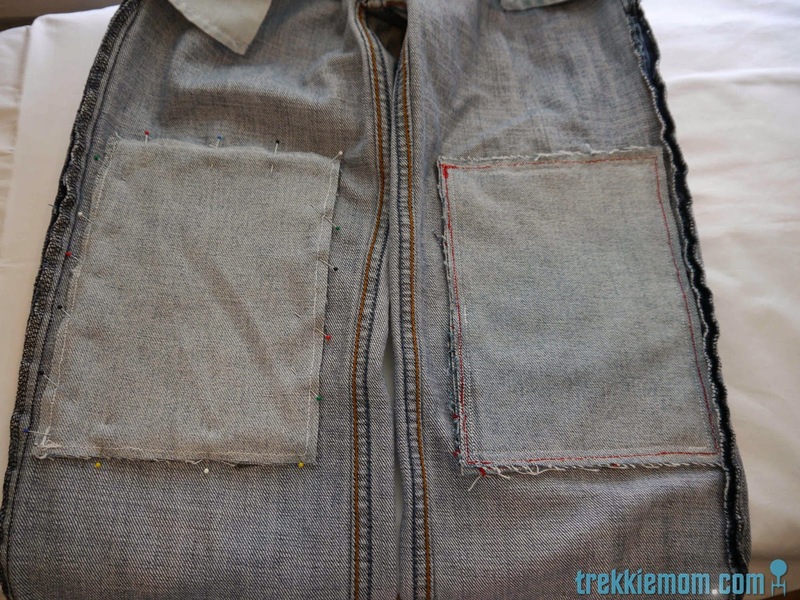 Each patch received 2 rows of stitching to secure them to the knees, hopefully, for good. 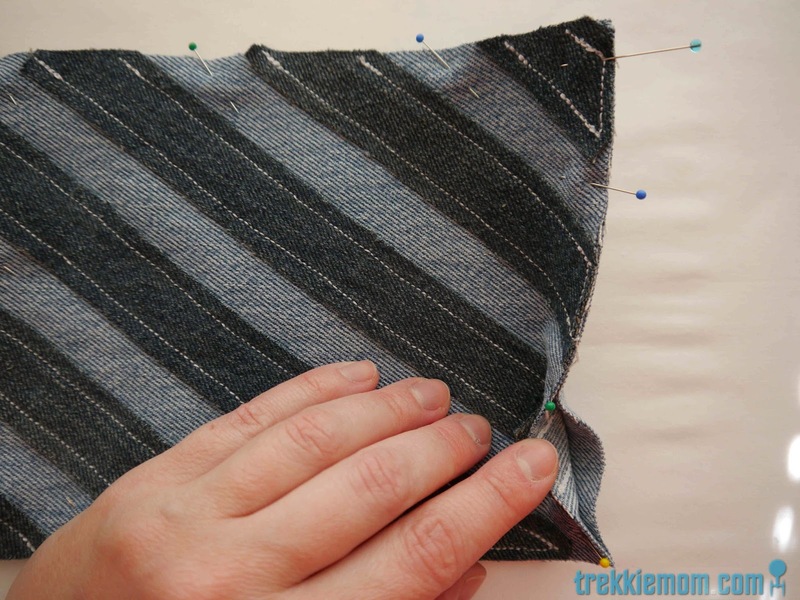 The first seam was a quarter inch, and the second half an inch or so. So, here comes the fun part, cutting away the bad knees! 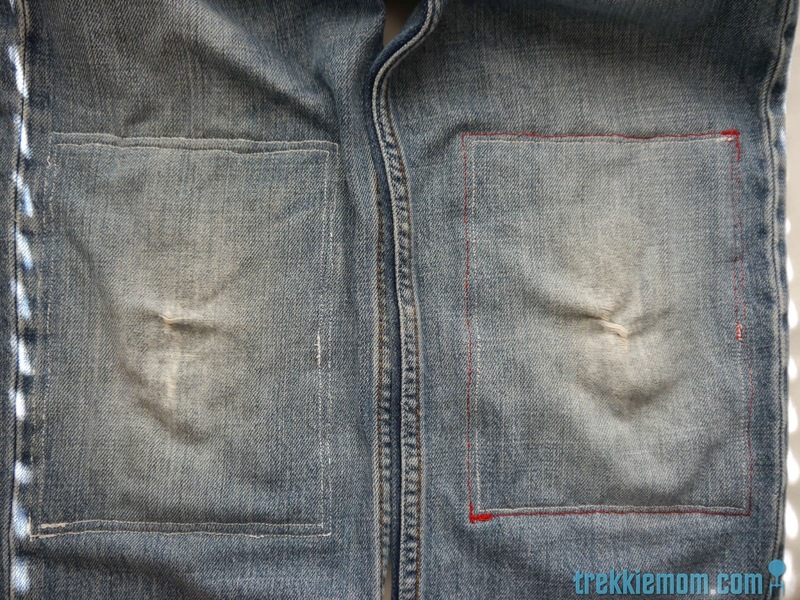 I turned the the pants right-side-to and used the existing holes to start my cut. Voila! It looks like they were made this way in the store. 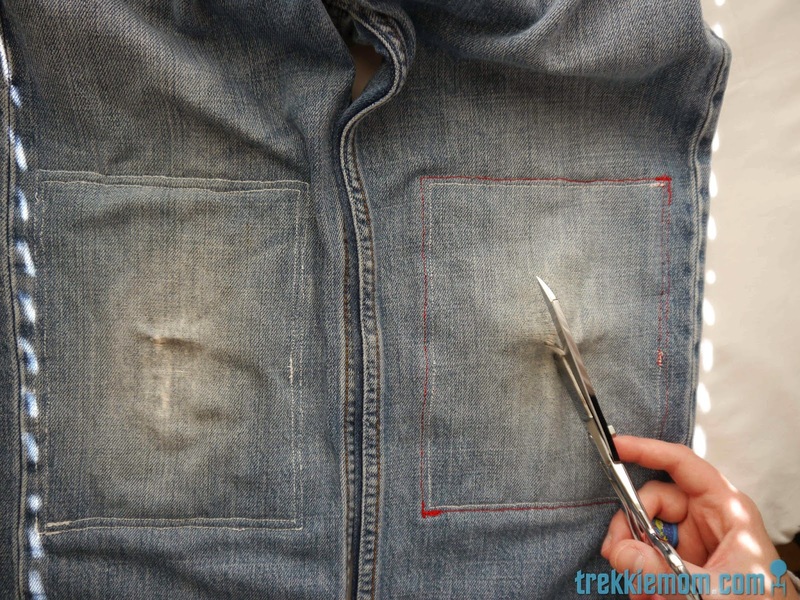 The final task is to wash and dry the creation to get that all important fray. 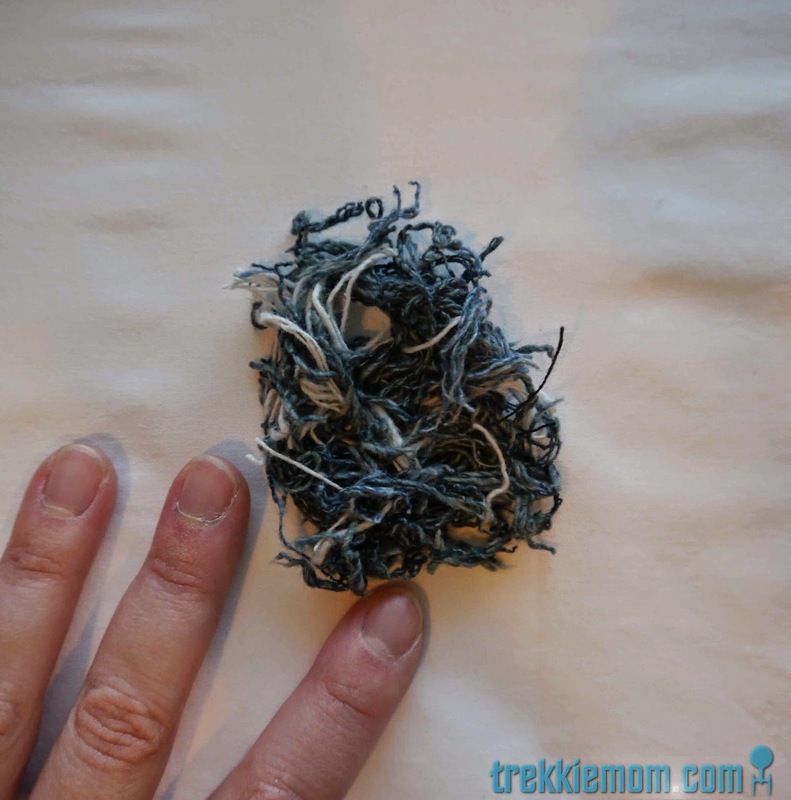 I find that the first 2-3 washes requires a little trimming. The patches will only look better with each wash.
My son already loves them, which makes all the pins stabbing my poor fingers worth every curse I muttered. My kids blowout the knees in their pants like its their job! I used to carefully stitch them until they'd come home the next day with another hole in the same knee! arg! 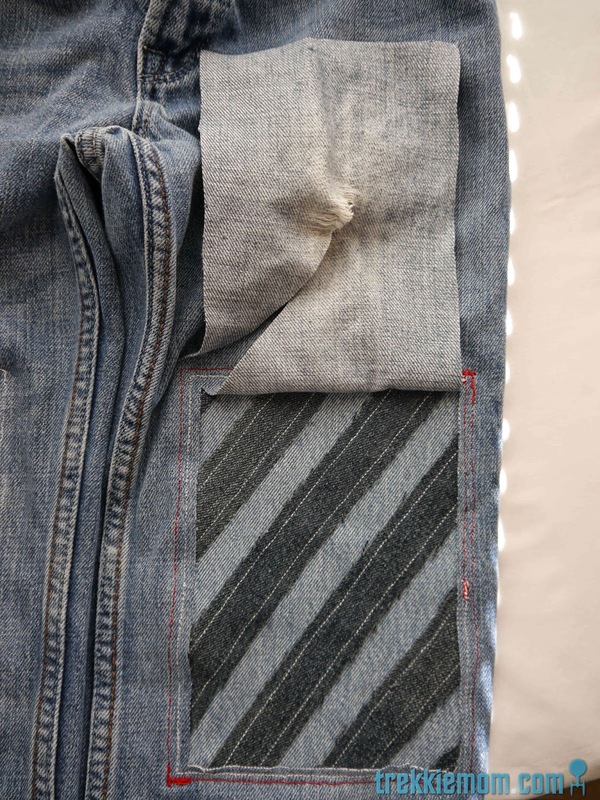 You have a very stylish fix!